Lock in a great price for GombitHotel – rated 9.3 by recent guests! Gorgeous hotel right in the heart of the old town. Excellent location in the Citta Alta, large bedrooms, very comfortable. Parking is well oraganized. 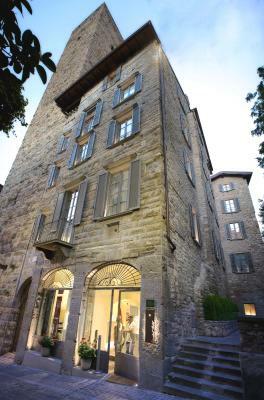 very nice boutique hotel in the heart of citta alta. clean facilities and very friendly staff. Absolutely everything. Fantastically helpful staff. Spotlessly clean. Gorgeous breakfast. Fantastic location. Lovely hotel in historic building right in the centre of the old town. Spacious room with bright modern bathroom. Nice breakfast. Very helpful staff. It is lovely to stroll around Bergamot from here. Lovely walks through old town and around old city walls. Very good staff, lovely rooms and bathrooms. Enjoyable breakfast - will be back. GombitHotel This rating is a reflection of how the property compares to the industry standard when it comes to price, facilities and services available. It's based on a self-evaluation by the property. Use this rating to help choose your stay! 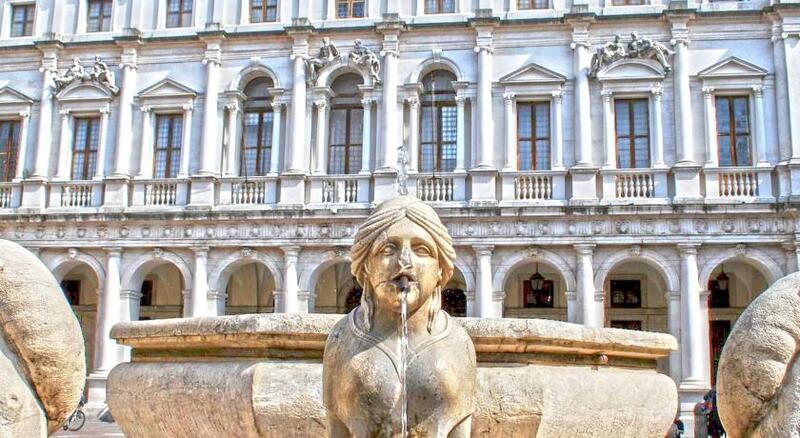 GombitHotel is set in central Bergamo, a 2 minute walk from Santa Maria Maggiore Cathedral. It offers air-conditioned rooms with minibar, TV and free Wi-Fi. Services at GombitHotel include a 24-hour reception, a bar and car rental. A public parking lot is available nearby. This design hotel is located in the heart of Bergamo, next to the Gombito Tower. 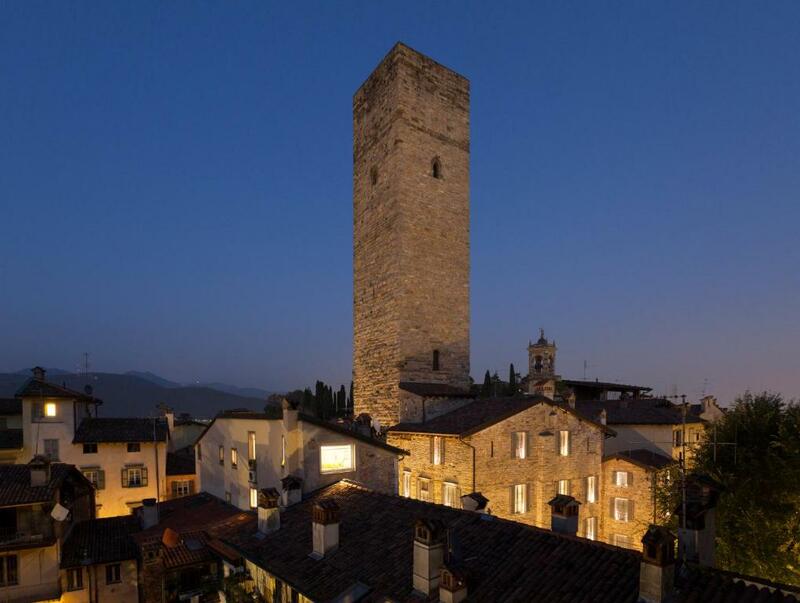 It is a 3 minute drive from Bergamo Station and 15 minutes from Orio Al Serio Airport. When would you like to stay at GombitHotel? With king-size bed or twin beds. It is air-conditioned with mini-bar, TV and free Wi-Fi. Larger room with different design. It is air-conditioned with mini-bar, TV and free Wi-Fi. More spacious room offering a different design. It is air-conditioned with mini-bar, TV and free Wi-Fi. Spacious suite offering a seating area with sofa bed. It is air-conditioned with mini-bar, TV and free Wi-Fi. House Rules GombitHotel takes special requests – add in the next step! GombitHotel accepts these cards and reserves the right to temporarily hold an amount prior to arrival. Wonderfull location and comfortable facilities. The bathroom , even though it is big , it is very uncomfortable , there is no place to set your clothes or beauty case and the sink spills all water . Fantastic location in citta alta. Have stayed here several times. Last year when I left my eReader behind, they graciously mailed to me in US. Nothing that concerns the hotel. Just info for the visitors. a. If you rent a car BE CAREFUL. You are not allowed to enter the Citta Alta unless you are given permission (usually from the hotel) and the parkng is impossible so you need to pay 25 euros for closed parking in arrangement with your hotel again. b. Be carefull for the hidden cost of city tax. Approx 4 euro/person/stay. c. Taxis are hard to find but the public service is very good and cheap. Great design. Good location. Great choice! Perhaps I didn't see it, but 'GombitHotel' wasn't displayed on the exterior of the building, making it difficult to locate at first. 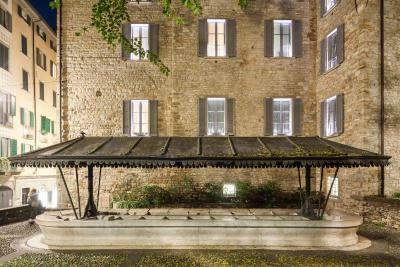 The hotel has a unique boutique vibe and is in a perfect location for visiting the upper, historic Bergamo. Our spacious room was sleek and modern, enhanced by great lighting, crisp linens, a courtyard view, with a large, clean bathroom, fluffy towels and lovely scented amenities. The beds were so very comfy - even the sofa bed! Breakfast was well displayed, varied and plentiful, served in an airy, spacious dining room with raw linen table covers and soft lighting. The staff were pleasant, attentive, happy to make restaurant recommendations, and guide us to parking. It was all a very nice experience.